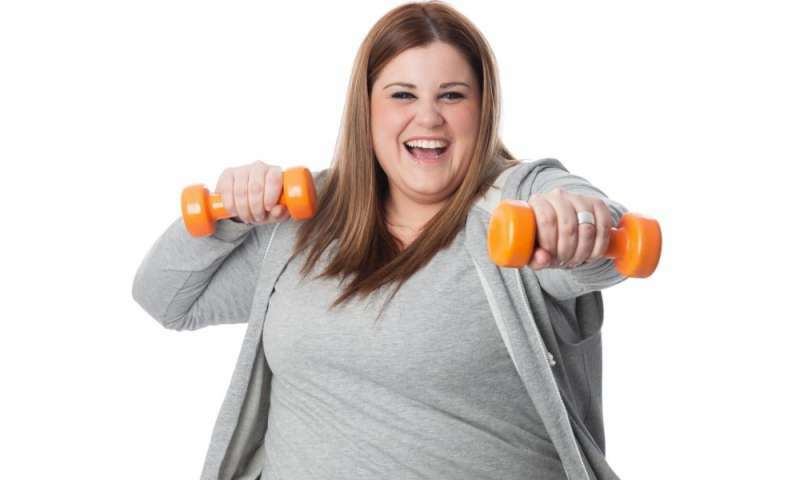 (HealthDay)—For obese adults, performing short bouts of arm ergometry during prolonged sitting is associated with reduced mean blood glucose and insulin incremental area under the curve (iAUC), according to a study published online May 23 in Diabetes, Obesity and Metabolism. Matthew McCarthy, from the University of Leicester in the United Kingdom, and colleagues randomized 13 obese adults to two 7.5 hour experimental conditions: prolonged sitting only, or sitting interspersed with five minutes of seated arm ergometry every 30 minutes. Throughout each experimental condition, the iAUC was calculated for glucose and insulin. The researchers found that the implementation of seated arm ergometry every 30 minutes correlated with significantly reduced mean blood glucose iAUC compared with the prolonged sitting only condition (from 7.4 to 3.1 mmol/L−1/hour). There were also significant reductions in mean insulin iAUC (from 696 to 554 mU/L−1/hour). "Performing short bouts of arm ergometry during prolonged sitting attenuated postprandial glycemia despite maintaining a seated posture," the authors write. "This may have clinical significance for those with weight bearing difficulty who may struggle with postural change."